In the southeast corner of Shelby County is the town of Collierville, a charming community that balances work and play effortlessly. The strong local economy, great schools and family-friendly vibe have earned Collierville the distinction of being one of the best places to live in the country. Residents won’t be able to stop talking about what makes Collierville so incredible. Collierville real estate is ideal for those that want a small-town experience without giving up the necessities of modern life. 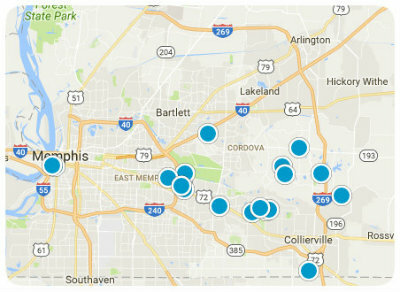 The homes for sale in Collierville range in sizes and prices so that every home buyer will be able to find exactly what they need. It’s never going to get better than Collierville real estate, so home buyers need to start their search as soon as possible. Just painted interior & exterior 2018. New pool liner. New water heater. New roof 2015. Added drainage to street.